I hope you enjoyed your three day weekend! I baked a few things (which I will share this week!) and also had a few tasty treats. 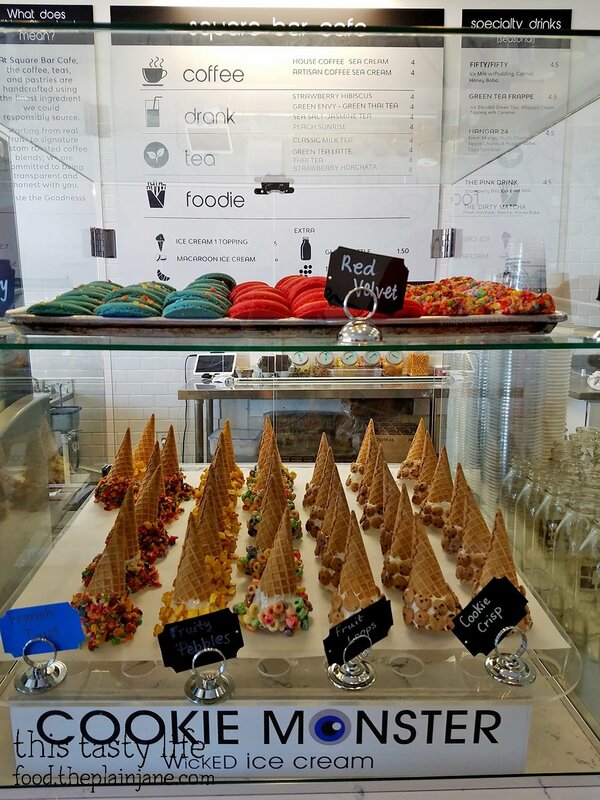 On Labor Day we tried to go check out the new Thai ice cream place called Bing Haus but they were closed. 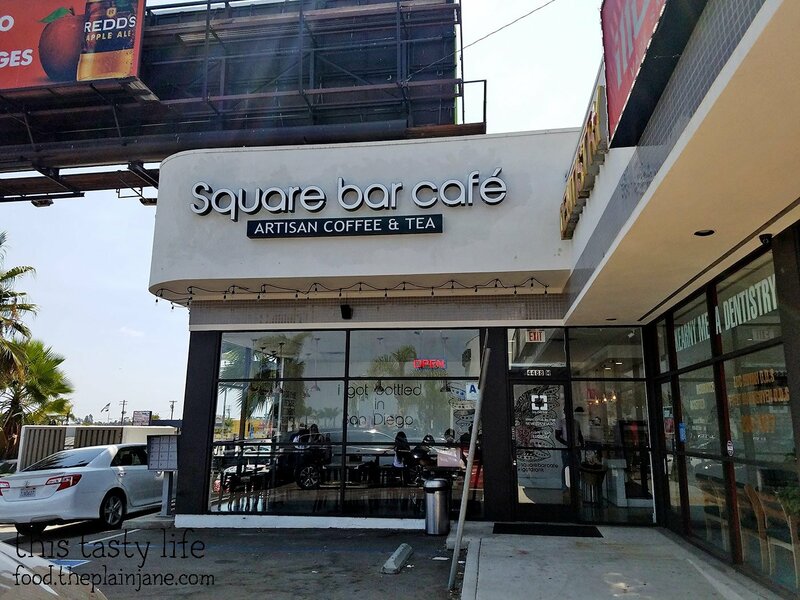 Instead we went across the street to another place I’ve been wanting to try called Square Bar Cafe. 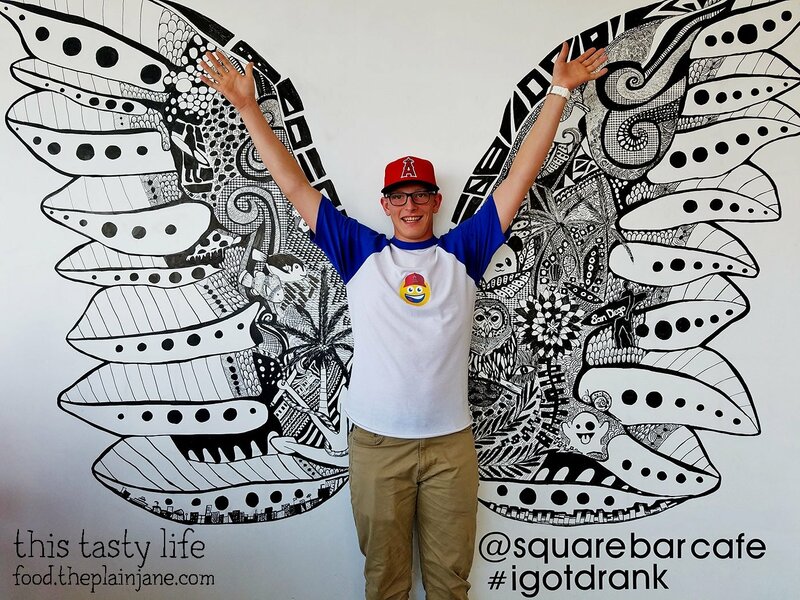 I couldn’t remember why I wanted to visit Square Bar Cafe, I just knew I’d seen a lot of photos of them on Instagram lately and it stuck in my mind. 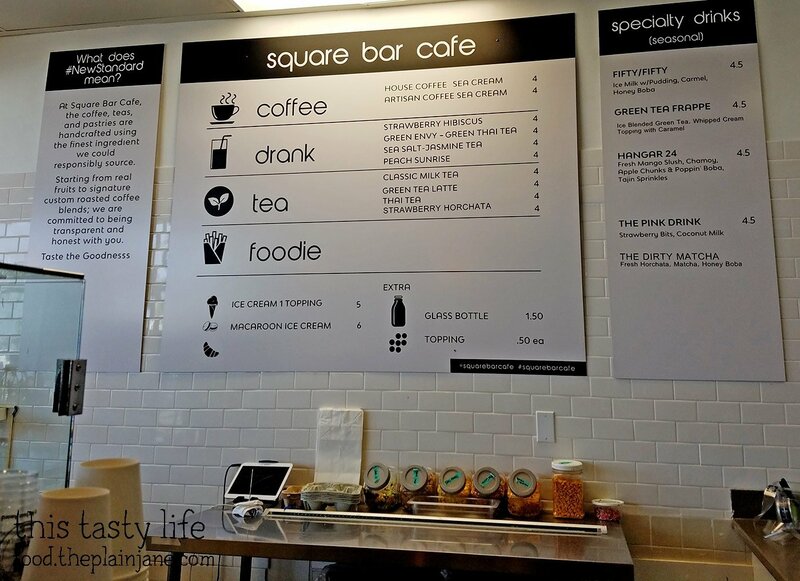 They offer coffee and tea drinks plus desserts at Square Bar Cafe. 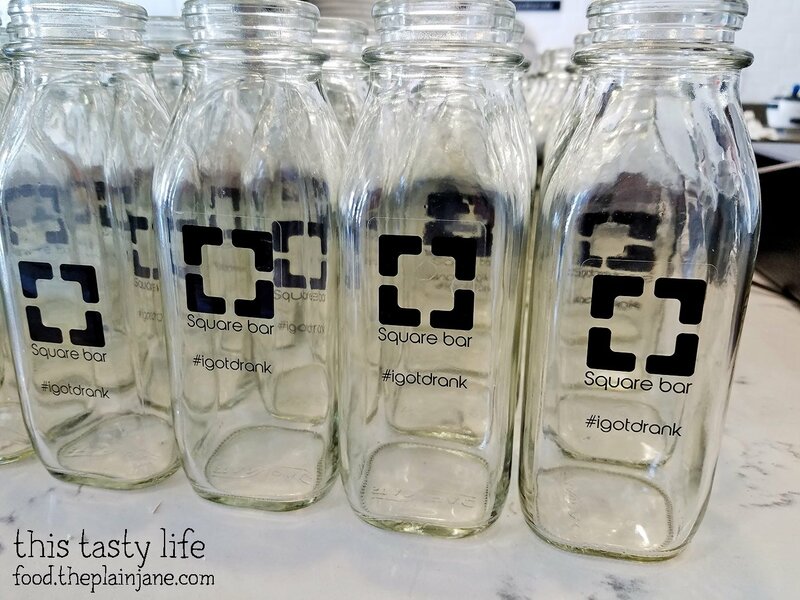 They also offer to put your drink into these cool milk bottles! If you get a milk bottle there’s an extra $1.50 charge. 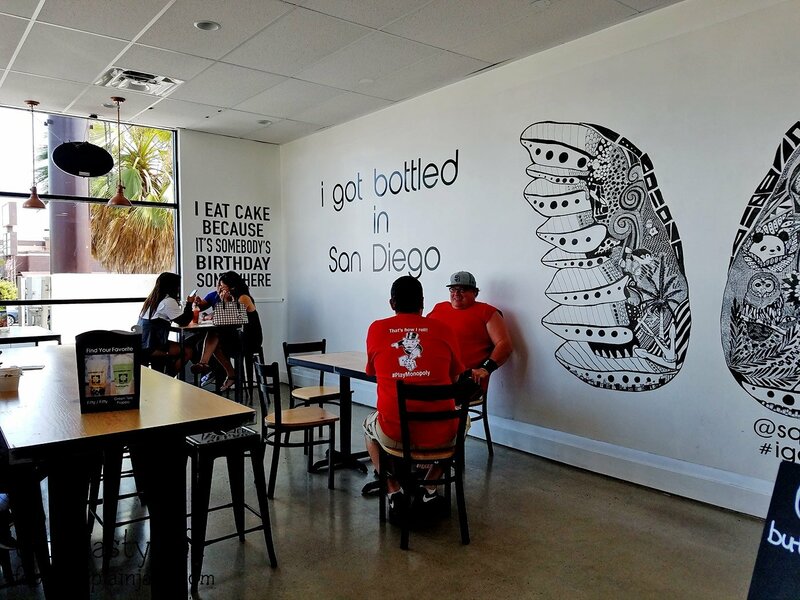 If you bring the bottle back on your next visit, you get 10% off your order. 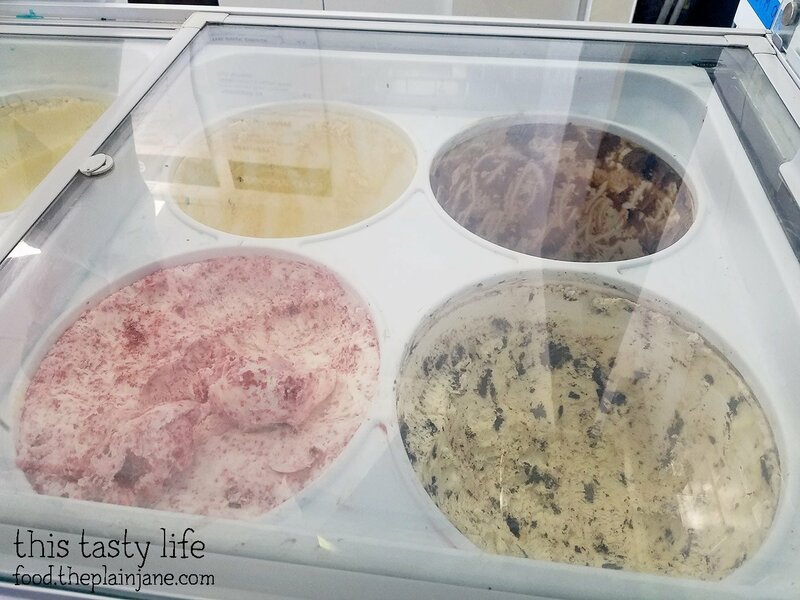 They have a few interesting flavors of ice cream available. 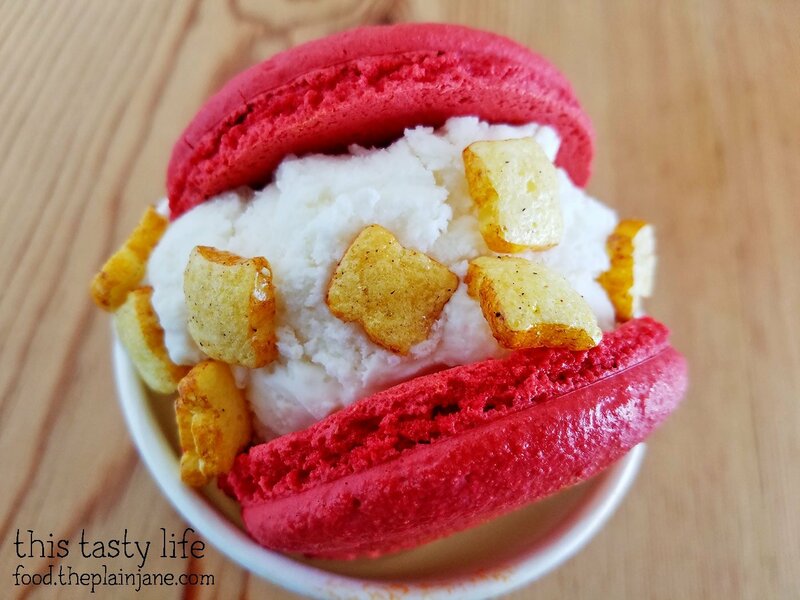 You can get it in a cone or smooshed in between some macaron cookies. These are the toppings they have. 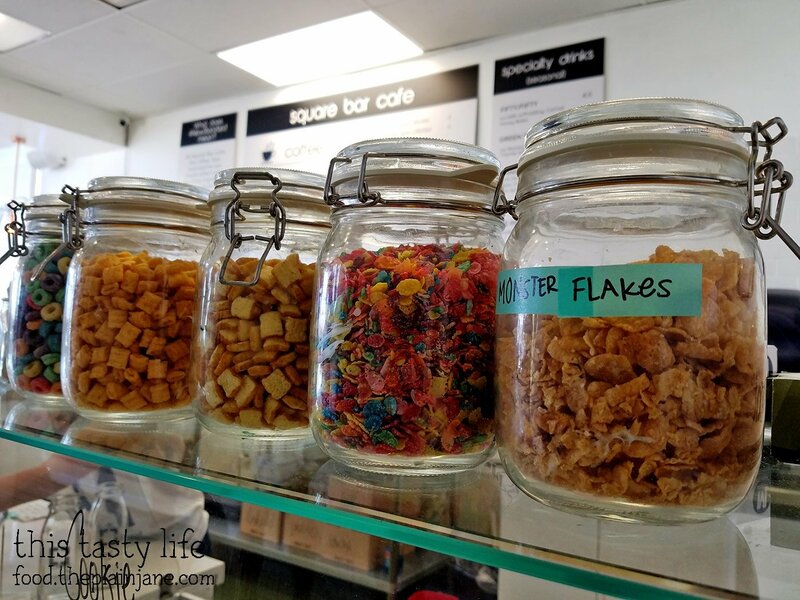 They seem to have a thing for cereal here at Square Bar Cafe. 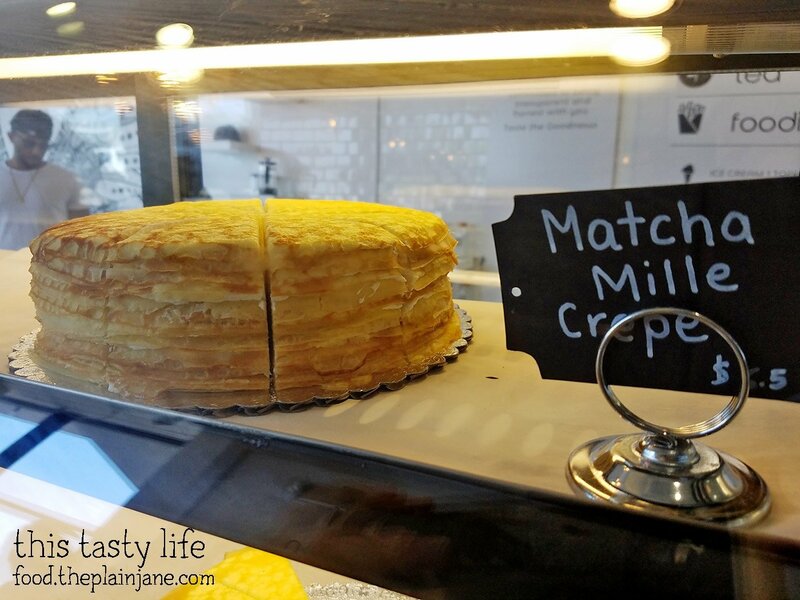 I also spied these pretty mille crepe cakes in the display case. 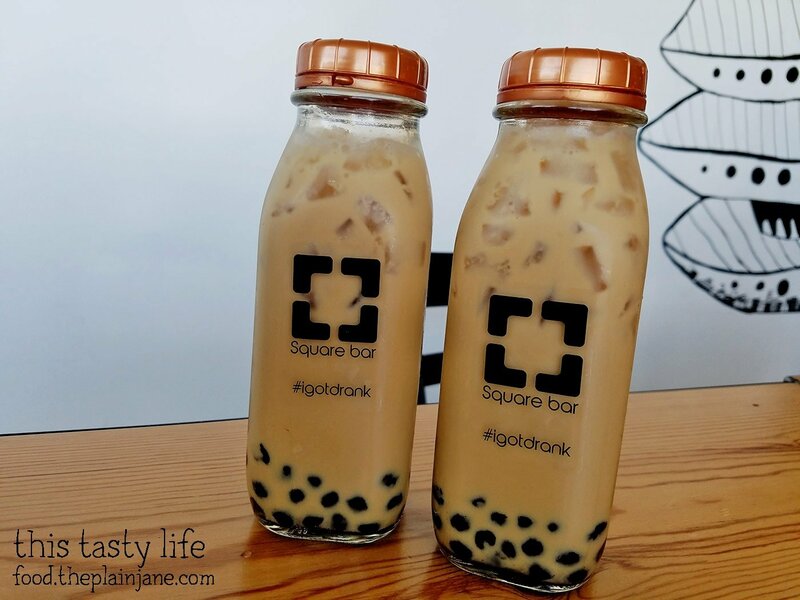 Jake and T both got milk teas with boba. I had a sip of Jake’s and it was pretty tasty. The tea wasn’t overly sweet and had a nice flavor. T thought it was almost bitter tasting due to the lack of sweetness but he really liked it anyway. The boba tasted nice and fresh and chewy as well. Jake’s friend Jovan was hanging out with us and he got a Red Velvet Cake ice cream in a waffle cone with French toast cereal. 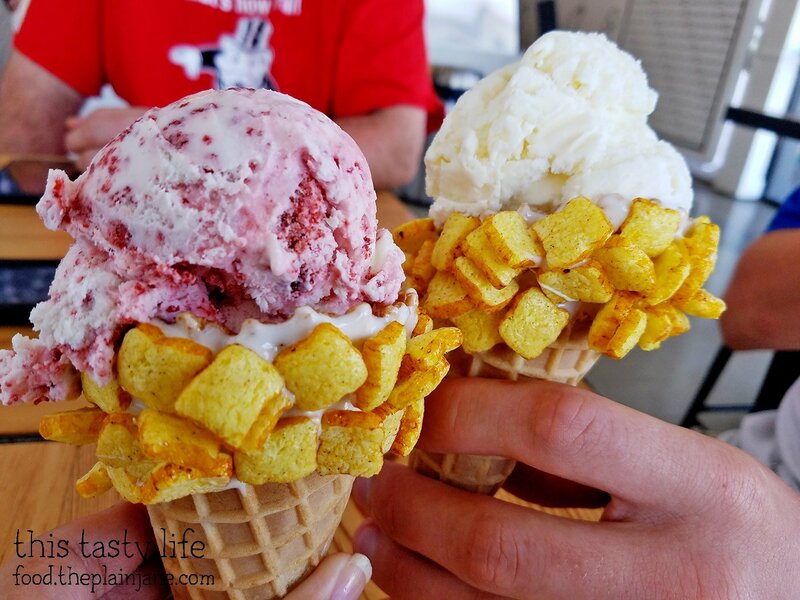 T got something similar but with milk & cereal ice cream instead. Jovan said the ice cream had real piece of cake in it, too! I decided to get a macaron ice cream sandwich and I picked red velvet cookies to sandwich my ice cream. I got the milk & cereal ice cream as well. 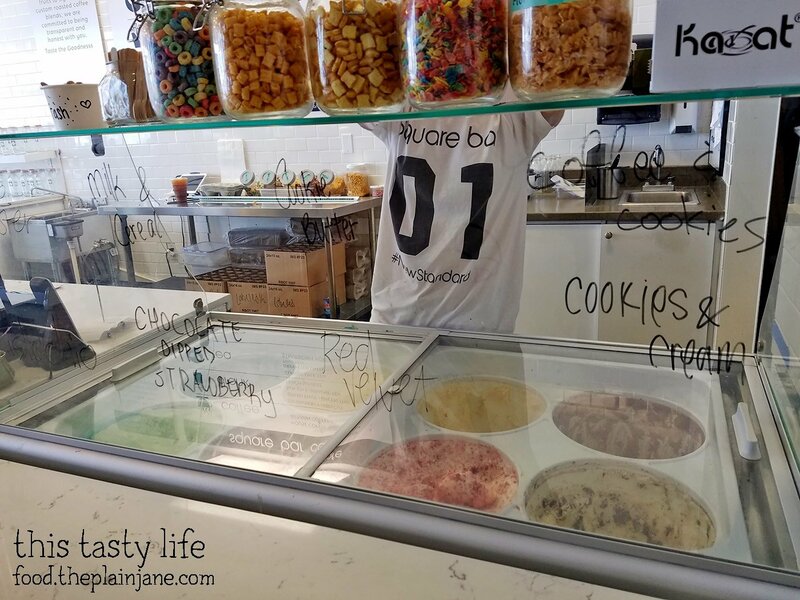 It had a really good flavor to it – mild, creamy and just like cereal milk that’s leftover in your bowl. It’s a mild sweetness that I really enjoyed. The French toast cereal is too cute to pass up and I got that for my topping. The cereal pieces were a nice crunchy addition to the ice cream sandwich. A++, would totally eat this again. We got there at a good time as well as the line got pretty long after we got there. They make everything when you order it, so there can be a little bit of a wait but it’s delicious stuff! Bummer that Bing Haus was closed but at least you got to try out this place. When we went, we only got the mille crepe slice and my friend had the iced coffee in the milk bottle (which she gave to TC later). We were already sugared out from the rolled ice creams. Looks like cereals as a topping and as a garnish is a big thing. So colorful. 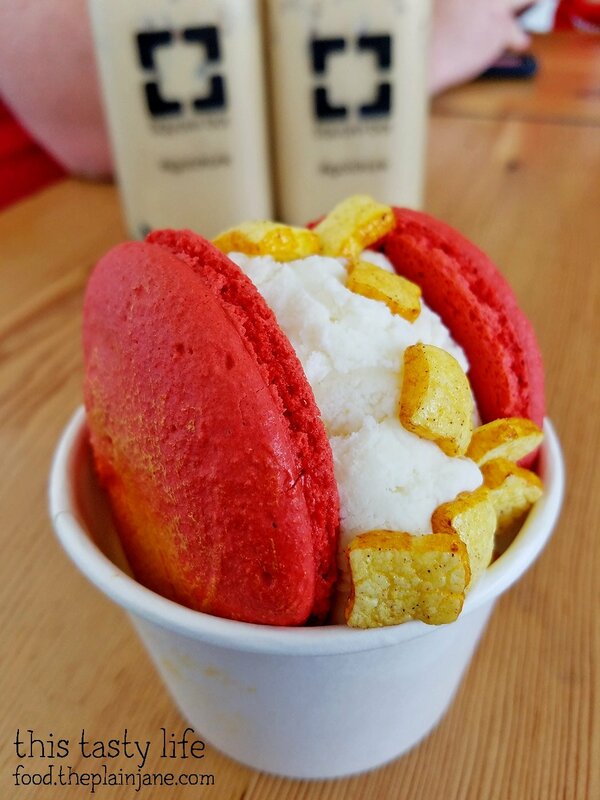 It’s good they put the macaron ice cream sandwich in a cup because it looks like it would be messy to eat. 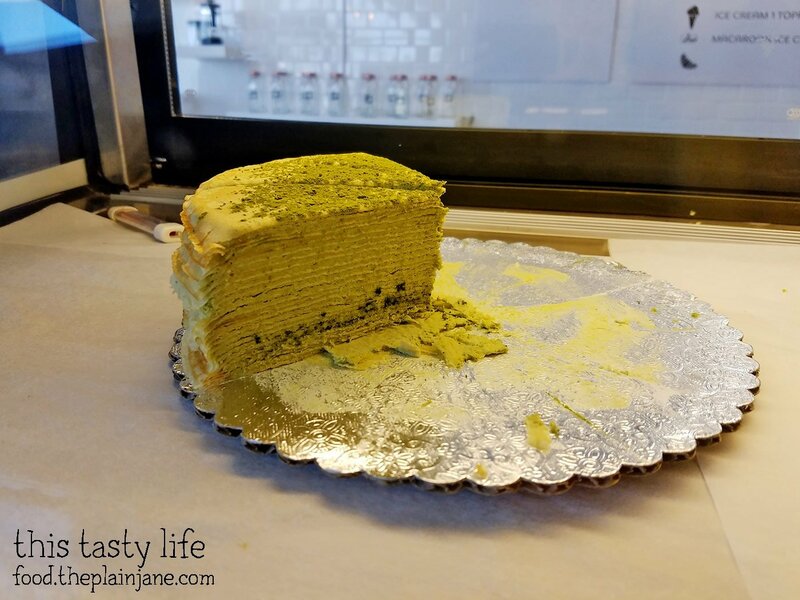 Hi CC – I was tempted to try the mille crepe as well but I figured the ice cream sandwich was more than enough (and it was – I didn’t even finish it). I’m glad they put it in a cup, too! Easier to photograph, haha.